We live in an overwhelming time. No matter how old you are or what stage of life you’re in, it’s easy to feel stressed out by the world around you. That feeling is often compounded by various stressors in your own life. Personally, whenever I feel this way, what I have tried to do is to focus on things in my life that I have the ability to control. 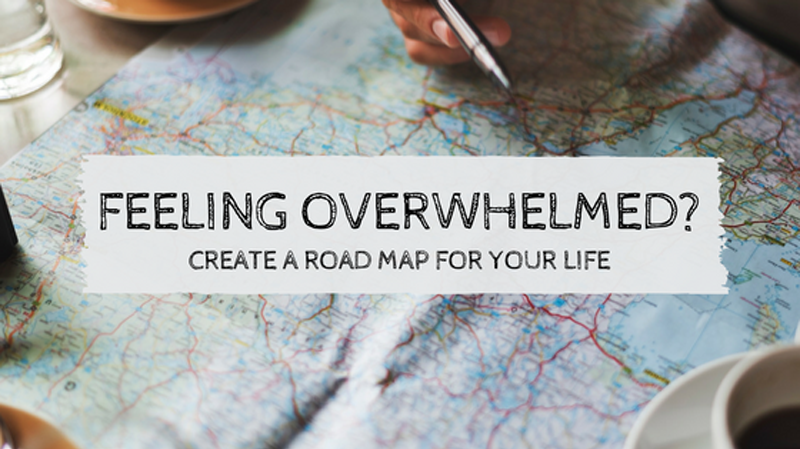 If you are feeling overwhelmed, try building a road map for your life. A road map can help you gain a sense of control over your personal growth, your finances, and other areas within your reach. These past few years have seemed full of ever accelerating change and sometimes chaos. Reading or watching the news can feel like a firehose of information from all over the world. I believe we are living in one of the transformational times in history that none of us alive now can really comprehend. Imagine living at the beginning of the Renaissance or Enlightenment and trying to envision what would develop over the next few centuries. Impossible! As a student of history, I often try to wrap my mind around what’s happening. But sometimes it feels like trying to peer through a dust storm, and that can be unsettling. So, what I try to do is refocus on my road map. A few years ago, I did a goal-setting exercise where I where I wrote down the age I would die. Then I made a list of all the things I was going to do by that point. (This was a big project; I’ve revised and edited it several times since as my priorities have changed.) Once I had my list, I looked at it and made a list of what I need to do 10 years from now, 5 years from now, 3 years from now, and 1 year from now to be on target for reaching my lifetime goals. I then took my 1-year goals and broke them down into monthly, weekly, and daily actions. Since doing this exercise, I’ve had some of the most productive years of my life. Having a clear list of actions and goals that move me toward my lifetime goals has helped me move from feeling helpless and overwhelmed to feeling empowered and in control of my life. Once I had listed out my goals, I took it one step further by plotting them out on a visual “road map.” I took my 1-year list and built my road map in the form of a mind map. (I used MindJet software, though there are tons of other programs that do similar things.) What I did was put my name in the middle of a blank page. From there, I drew branches off the center that represented various categories of my life. Those main branches then had smaller branches representing the things that were important to me in each category. This map helps guide my actions through the year. I look at it weekly to plan my time and check my progress. This gives me a sense of empowerment that I lose if I only look at things outside my control. This is what I often see with people who, if they are younger, blame the older generation for “messing things up” or, if they are older, lament about what the younger generation is or isn’t doing and how things aren’t like they used to be. The world is changing at rate we have never seen before in history. Building your own road map of actions that you can take will help. Have questions? Need help creating a road map for your life or figuring out how to align your finances with your life goals? Contact me! I’d love to chat.